Pharrell Williams, Tyler, the Creator's mentor, will headline the third annualCamp Flog Gnaw carnival. There will also be performances by Tyler, the Creator, Rick Ross, Mac Miller,Earl Sweatshirt, the rest of the OFWGKTA camp, Murs, The Grouch & Eligh,Action Bronson, Step Brothers, Freddie Gibbs, Trash Talk, Vince Staples,Dem Atlas and Cherry Glazerr. 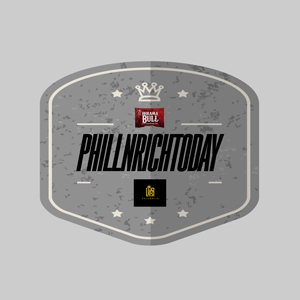 The one-day event -- hosted by Alchemist and OFWGKTA's Taco -- will take place on Nov. 8, at The Park at L.A. Coliseum in Los Angeles. Tickets go on sale on Friday, August 8, at 12pm PST/3pm EST. 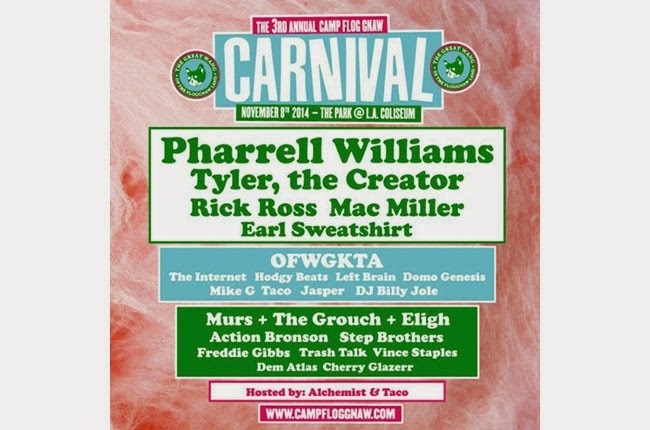 Check out theCamp Flog Gnaw carnival website for more details.